Bearcub Creations: Our New "Fireplace"
One thing that I was sad about our new house was that it did not have a fireplace. I have great memories as a child of fires in the fireplace and getting warmed by it. But in San Diego, the need for a fire in the fireplace doesn't happen often so some houses just don't have them. 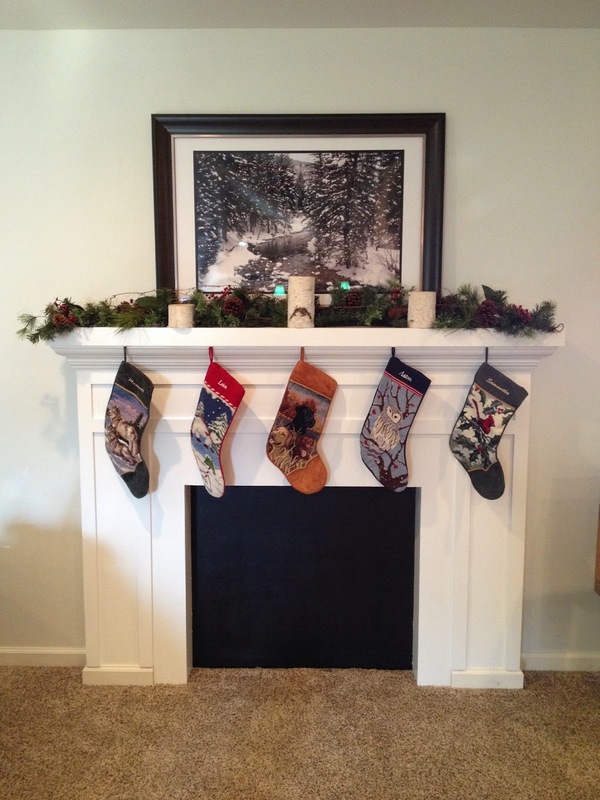 I was also bummed because I've always wanted a mantel to decorate and if we didn't have a fireplace I couldn't do that. 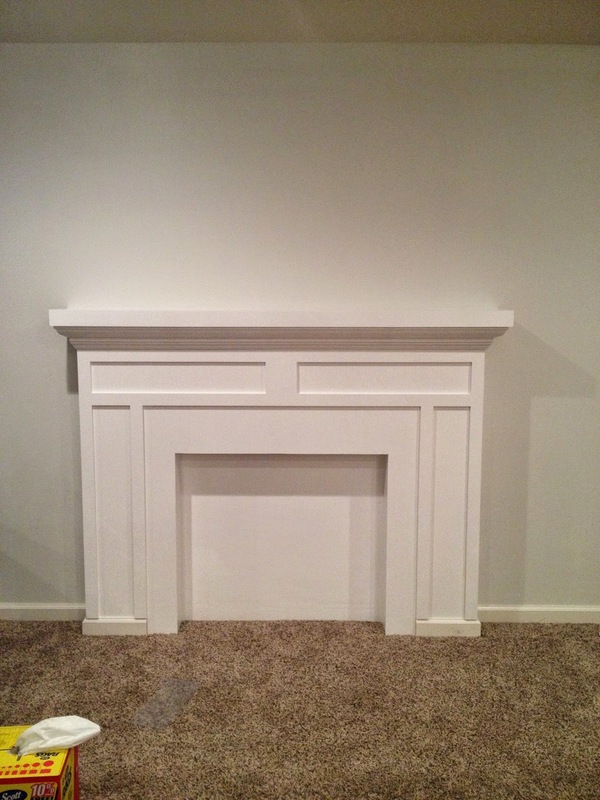 So after we moved in and started making plans for furniture, Maxwell said that we could build a fo-fireplace. We have a friend and one of Maxwell's co-workers who is a carpenter and we asked him if he could build it for us. He was very excited because he doesn't get to do creative work like this very often! The search was on to find something we liked. We finally found a design we thought could work and using tape so we could get our measurements, we taped the design onto the wall. 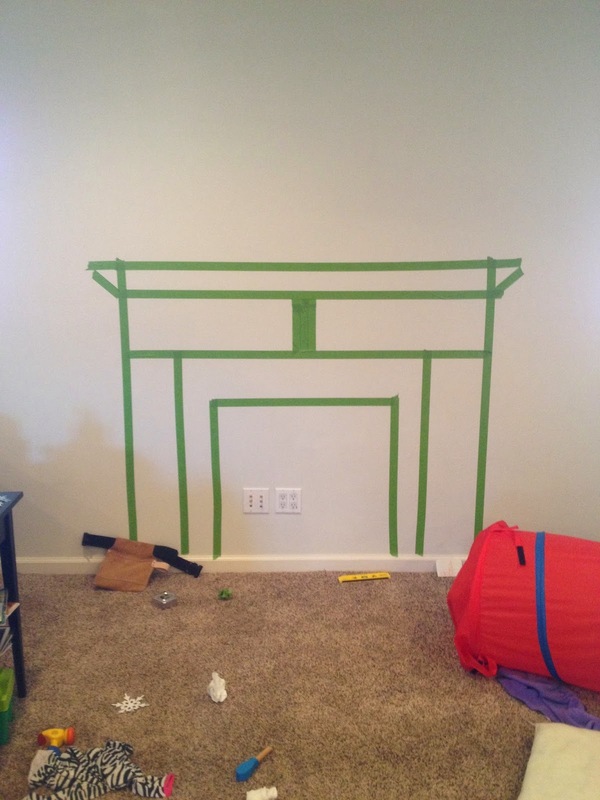 Our living room had a tape mantel in it for about 3 weeks and it was fun to see what was going to come! Work began in mid-Novemeber and Mark was super fast at getting it built. Maxwell was sending me pictures daily of the progress and I was so excited!! Max and Mark brought it home one day after work and installed it right to the wall. It can be removed if we ever move or want/need to move it! After it was installed, I used black chalkboard paint to paint the inside. I haven't written anything on the board but it's there if I want to use it in that way. We hope to find some kind of stone or tile to inlay, but nothing has stolen our hearts so for now, it is complete and I'm loving having another place to decorate! This finished product, decorated for Christmas!